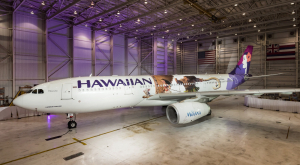 Hawaiian Holdings, Inc.’s HA wholly owned subsidiary Hawaiian Airlines reported traffic figures for December 2018. Simultaneously, the company has revised its fourth-quarter 2018 outlook pertaining to a few metrics. Traffic (measured in Revenue Passenger Miles or RPMs) increased 5.1% to 1.46 billion in the month. Available Seat Miles (ASMs) also climbed 5.6% to 1.74 billion in the period. Load factor (percentage of seats filled by passengers) contracted 40 basis points (bps) to 84% as traffic growth was outpaced by capacity expansion. At the end of 2018, the carrier recorded a 5.5% rise in RPMs while ASMs rose 6.1%. As a result, load factor slipped 50 bps. While passenger count inched up 2.9% on a year-to-date basis, it dipped 1.9% in December. For the fourth quarter of 2018, the carrier now anticipates operating revenue per ASM (RASM) to decline 3-4% year over year. Earlier, the metric was expected to decrease in the range of 3-5%. This slightly improved projection is owing to higher yields on the carrier’s international routes and a strong holiday traffic on its North America routes. Additionally, the airline forecasts cost per ASM (CASM) excluding fuel to slide in the 1.5-2.5% band. Past outlook was a slip in the 1-3% range. Gallons of jet fuel consumed are now estimated to inch up 1.5-2% year over year. Previous view had called for an expansion of 0-2% in the metric. 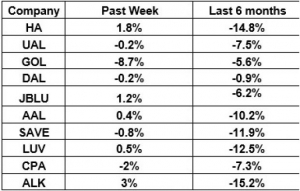 With fuel prices having exhibited a downward trend for the most part of the fourth quarter, the carrier has trimmed its projection for the metric. Economic fuel cost per gallon is now anticipated to be approximately $2.20 compared with $2.20-$2.30 expected earlier. 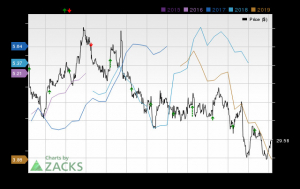 Hawaiian Holdings carries a Zacks Rank #3 (Hold). 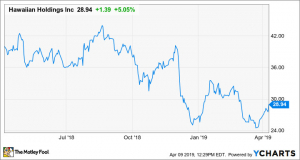 Some better-ranked stocks in the broader Transportation sector are Azul AZUL, Spirit Airlines SAVE and ArcBest Corporation ARCB, each flaunting a Zacks Rank #1 (Strong Buy). You can see the complete list of today’s Zacks #1 Rank stocks here. Shares of Azul, Spirit and ArcBest have gained 21.1%, 24.5% and 6%, respectively, in a year.